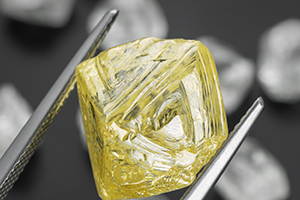 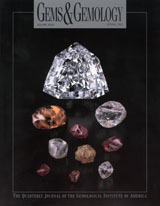 Our lead article discusses the sweeping changes brought to rough diamond pricing and supply through the adoption of tenders and live auctions. 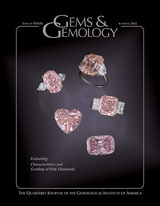 Describes the extremely rare polished pink diamonds from Australia’s Argyle mine that have been sold for 30 years through invitation-only tenders. 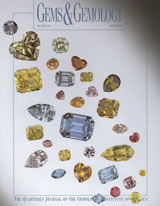 Examines the growing percentage of rough diamonds being sold through auctions, a shift that has caused price volatility while opening up supply to more manufacturers and dealers. 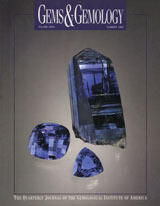 Presents spectroscopic and phosphorescence data of the Blue Moon, a 12.03 ct Fancy Vivid blue diamond discovered at the historic Cullinan mine in early 2014. 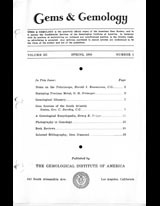 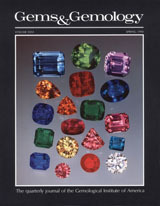 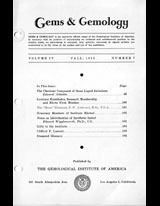 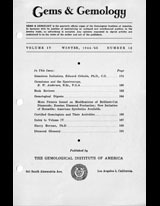 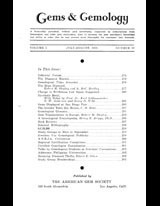 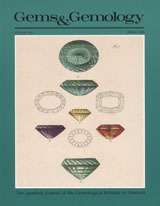 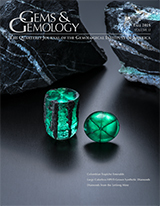 Reports preliminary findings—based on FTIR and Raman spectrometry of more than 300 samples—on distinguishing natural and synthetic emeralds using vibrational spectroscopy. 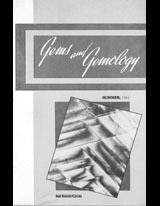 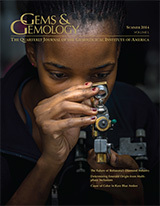 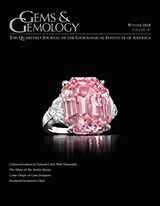 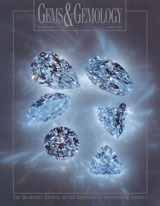 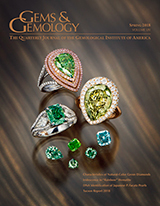 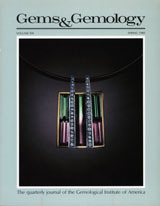 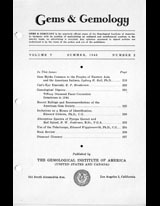 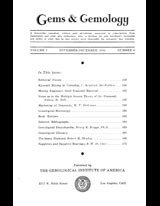 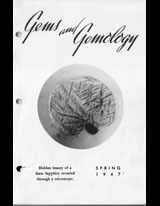 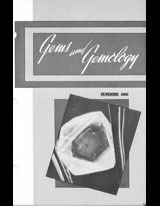 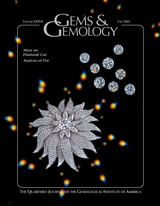 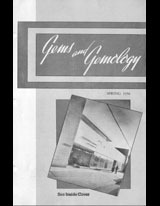 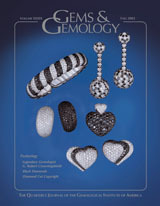 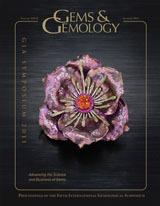 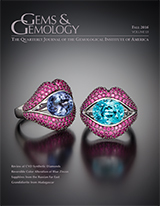 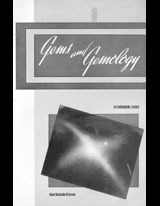 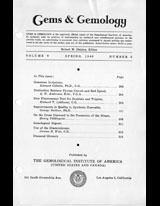 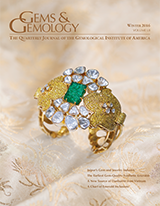 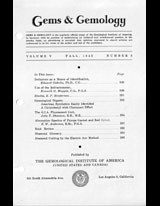 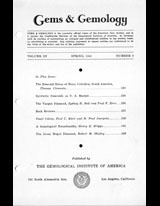 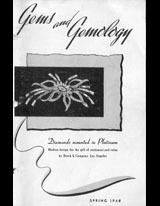 The latest advances and findings from GIA laboratories. 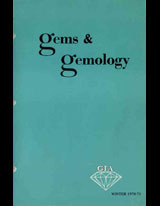 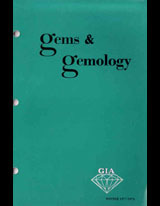 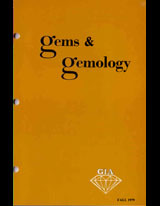 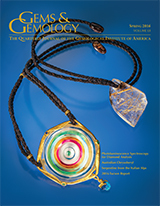 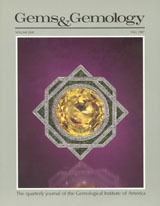 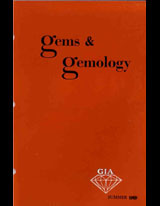 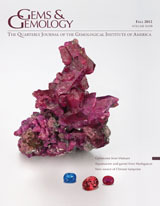 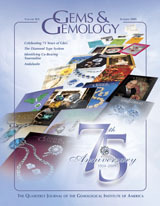 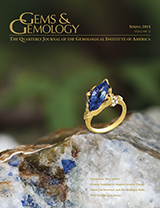 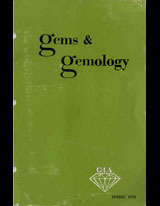 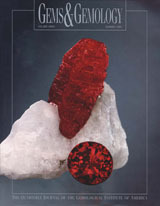 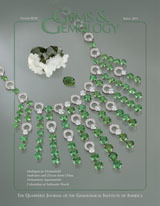 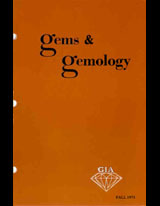 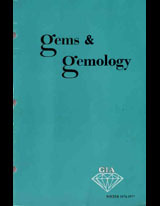 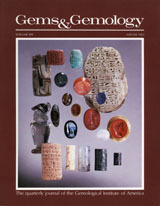 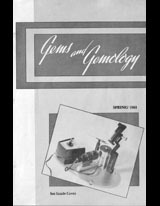 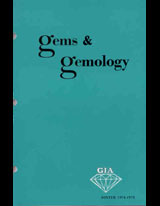 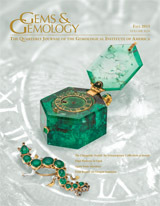 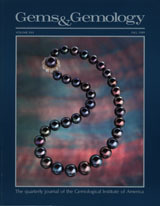 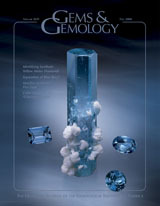 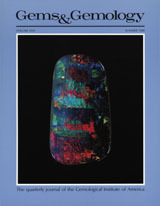 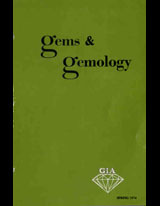 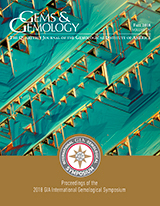 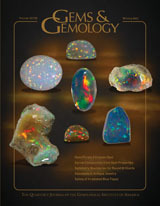 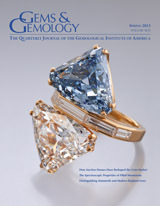 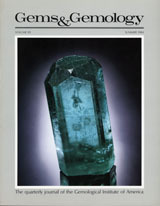 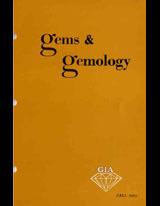 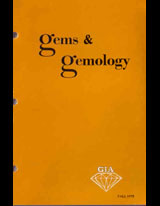 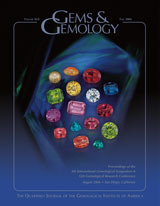 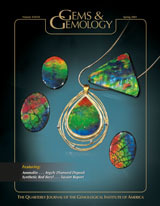 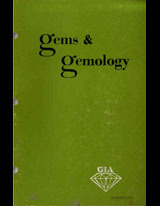 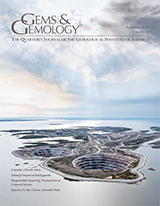 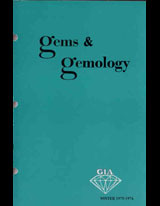 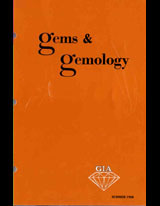 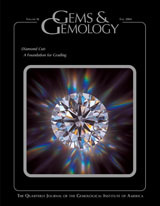 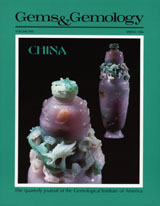 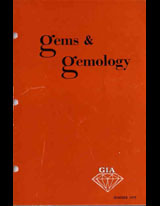 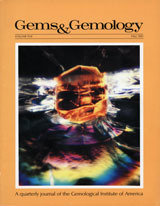 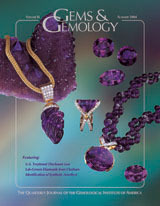 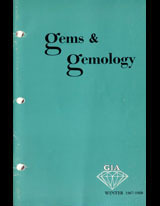 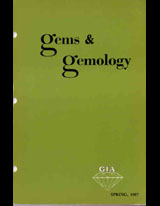 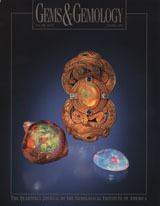 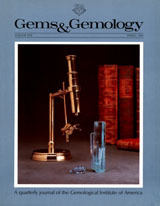 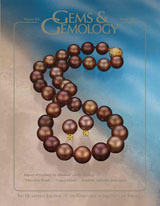 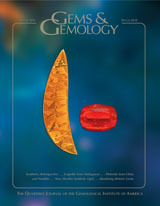 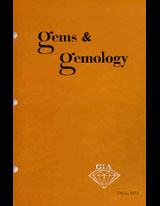 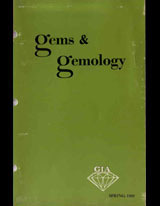 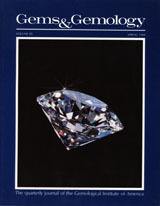 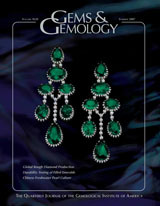 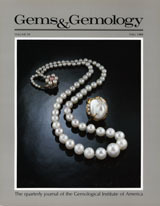 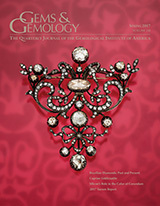 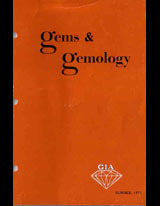 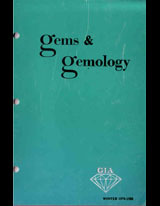 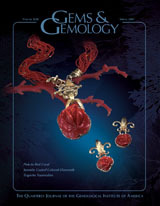 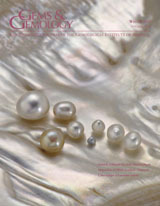 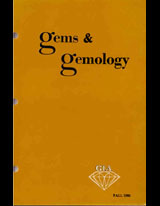 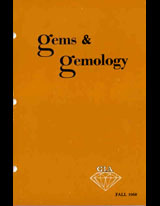 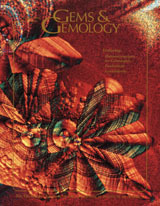 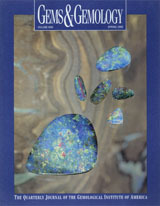 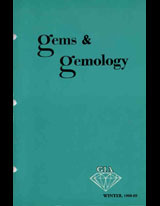 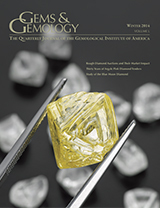 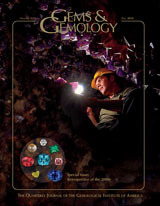 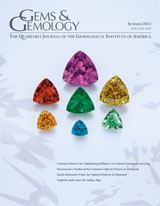 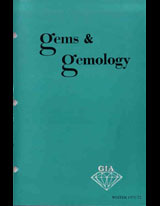 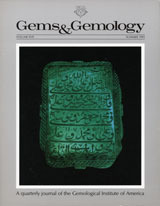 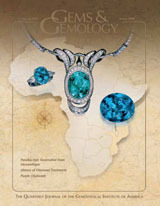 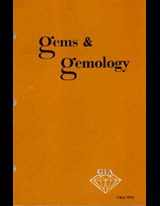 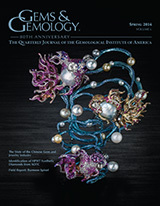 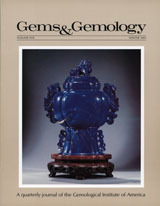 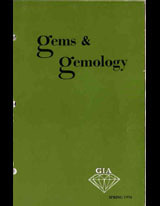 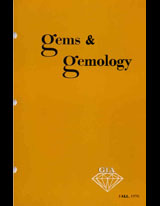 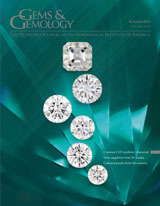 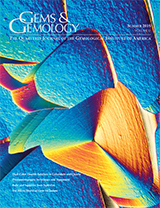 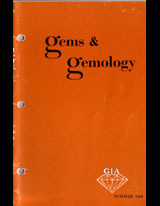 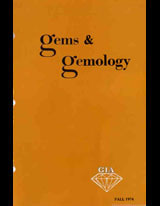 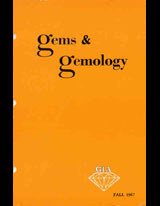 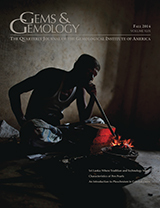 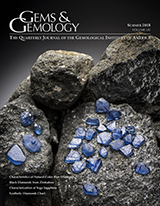 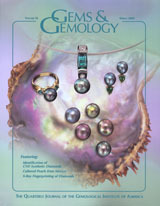 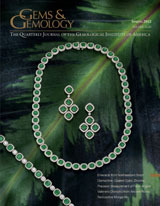 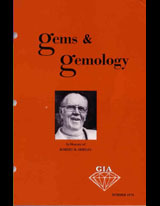 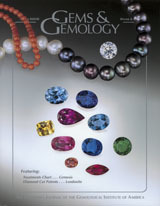 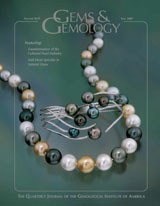 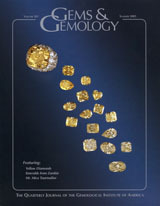 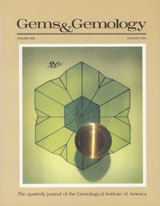 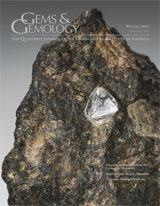 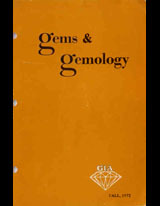 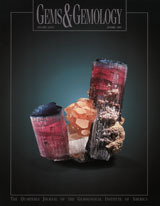 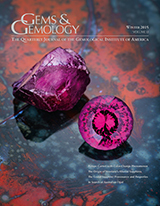 Global coverage of gem sources, notable new gem materials, and recent industry developments. 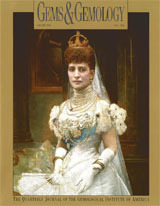 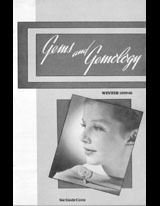 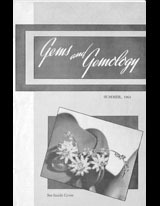 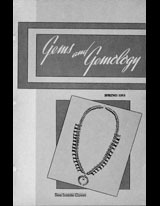 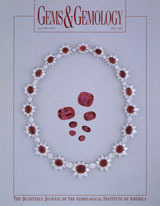 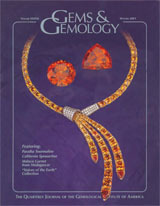 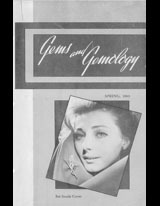 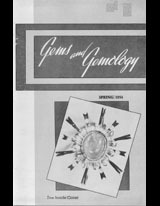 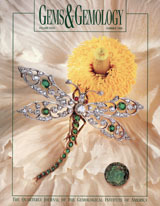 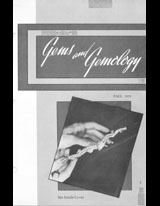 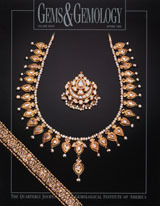 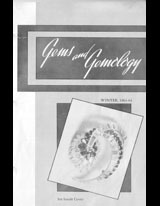 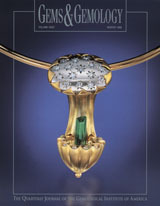 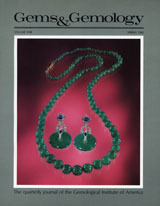 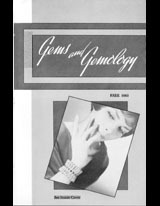 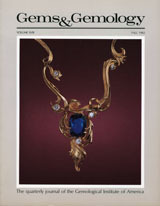 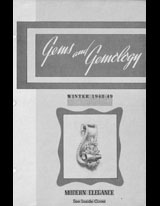 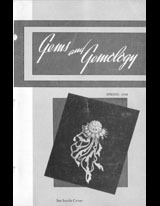 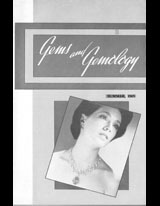 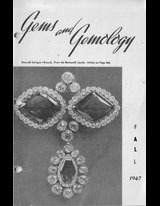 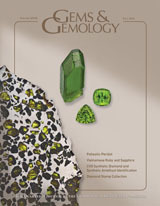 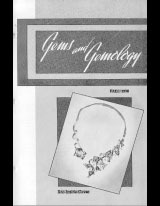 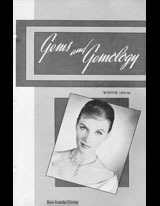 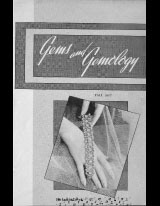 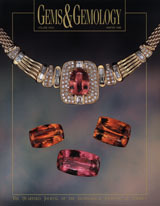 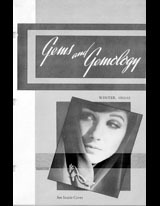 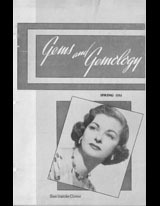 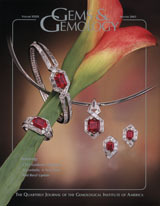 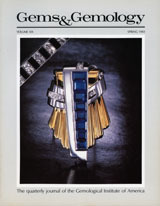 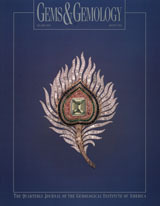 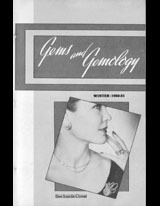 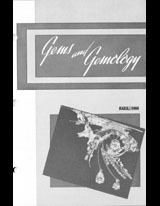 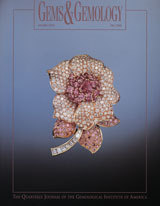 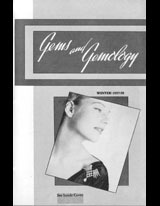 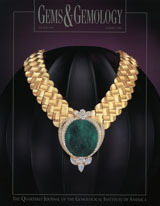 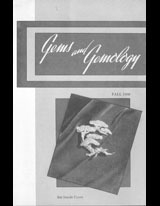 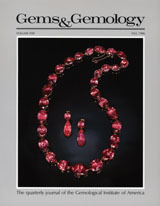 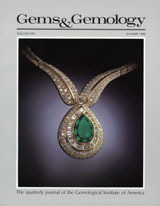 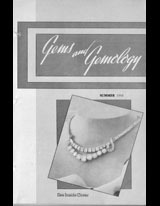 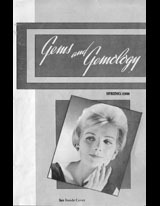 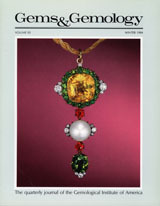 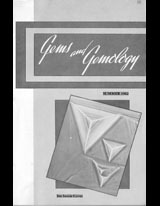 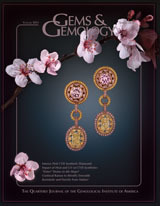 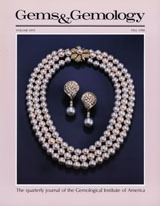 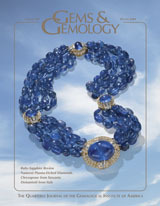 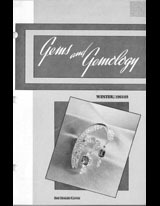 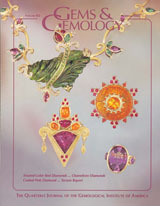 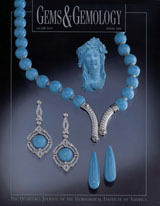 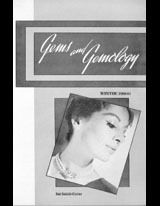 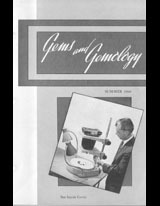 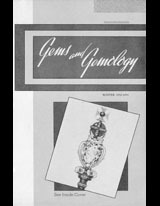 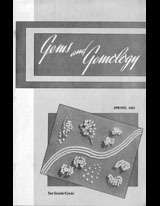 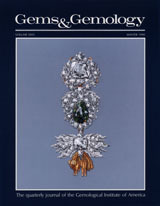 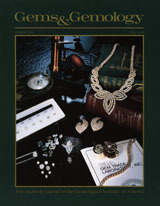 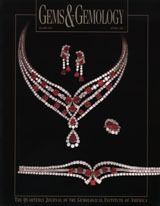 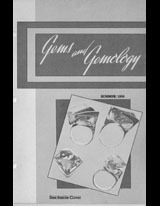 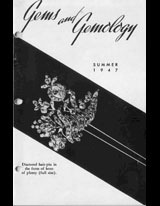 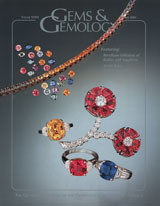 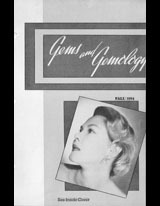 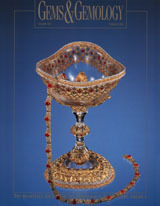 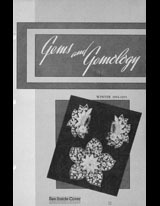 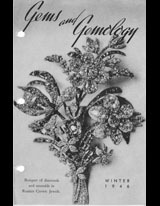 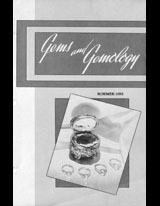 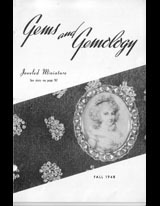 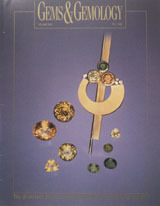 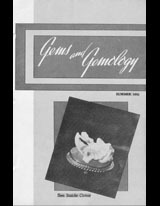 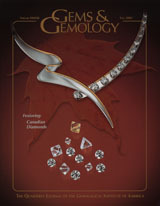 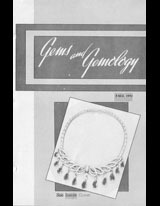 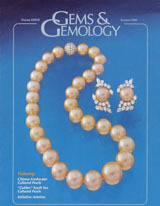 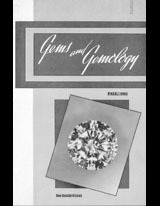 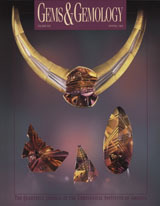 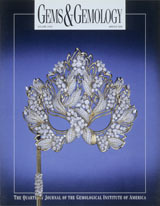 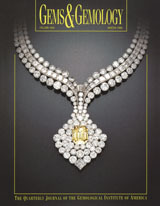 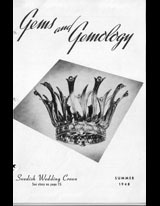 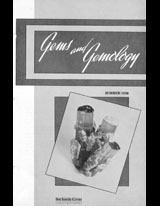 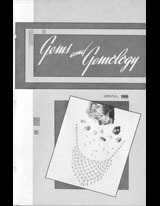 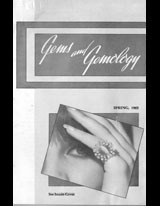 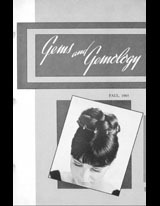 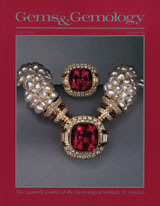 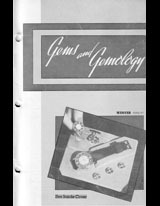 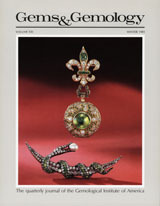 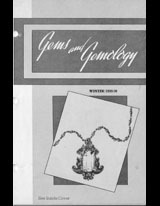 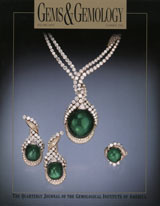 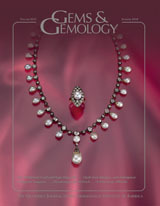 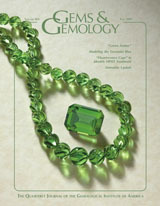 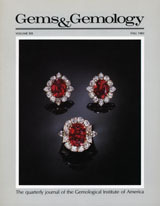 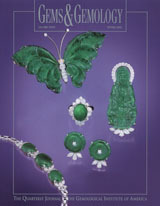 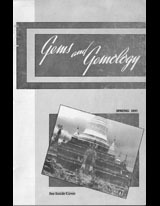 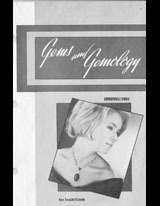 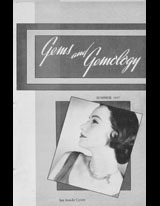 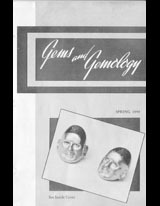 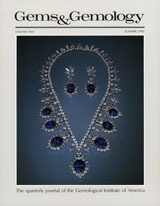 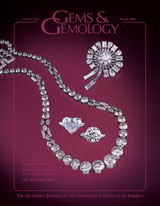 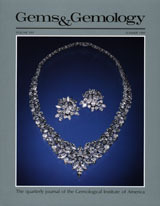 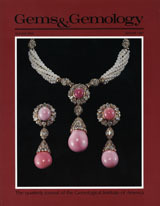 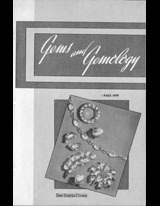 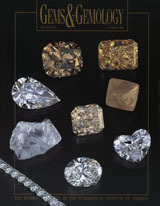 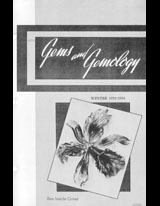 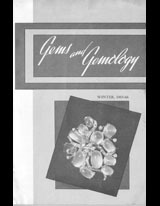 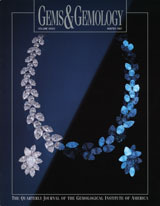 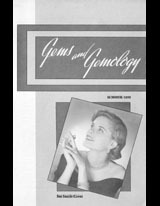 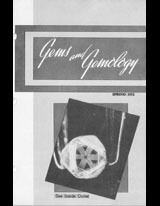 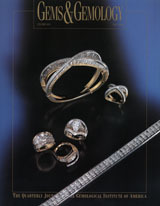 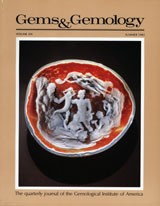 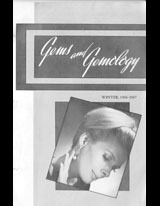 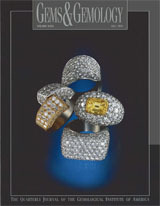 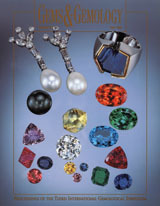 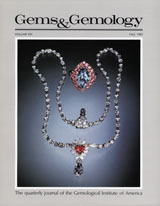 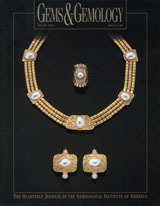 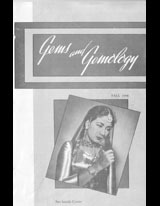 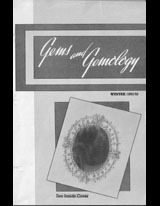 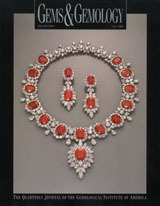 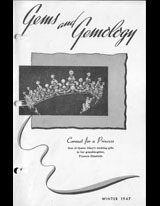 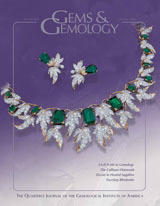 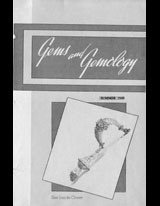 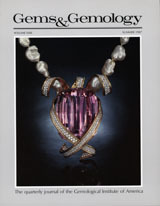 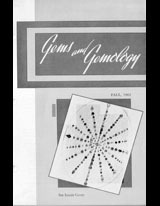 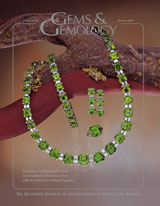 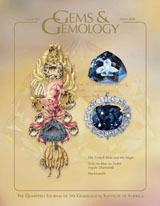 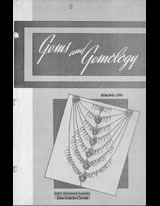 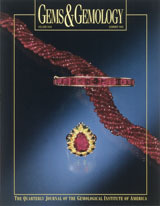 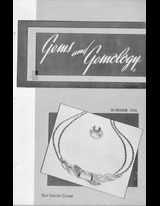 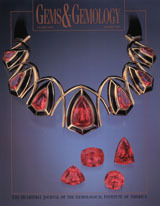 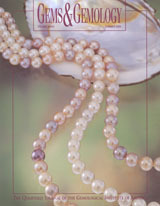 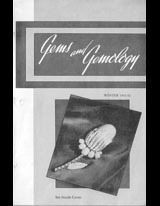 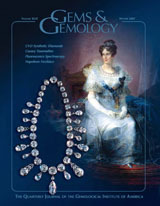 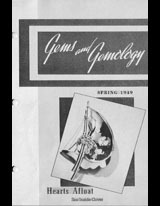 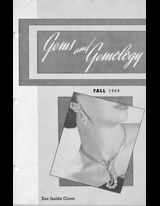 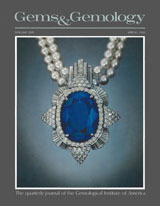 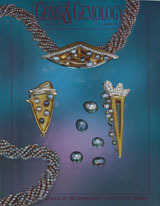 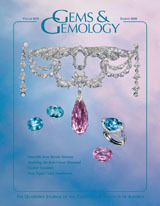 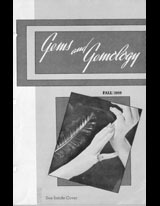 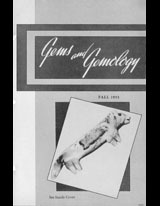 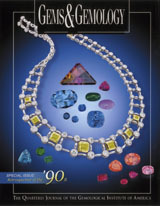 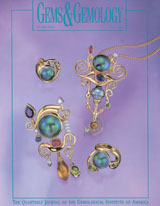 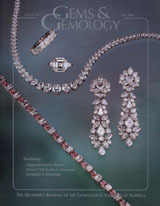 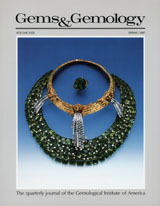 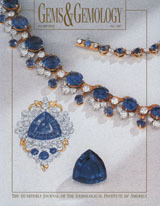 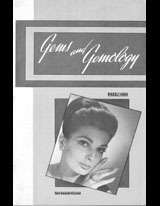 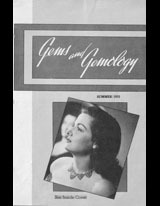 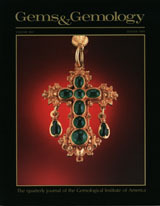 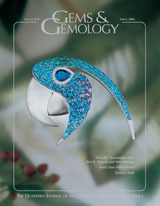 Your guide to the latest gem and jewelry books and other media. 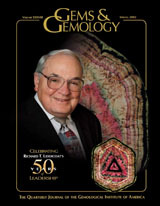 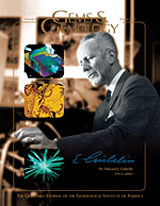 Vote before March 4 for the Dr. Edward J. Gübelin Most Valuable Article Awards. 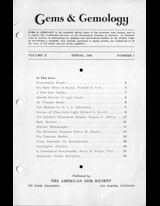 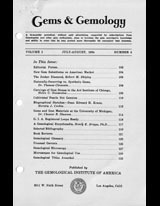 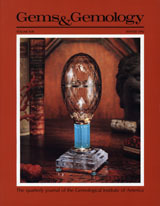 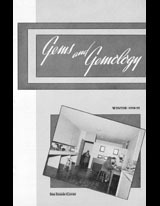 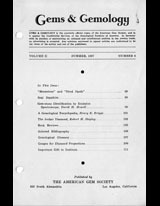 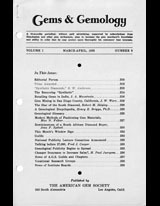 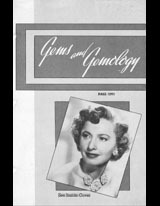 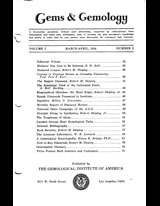 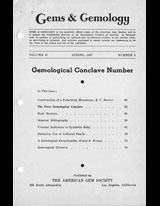 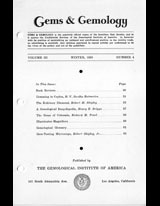 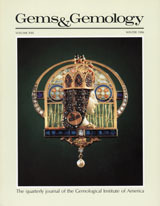 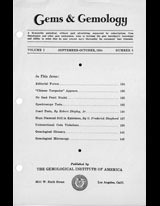 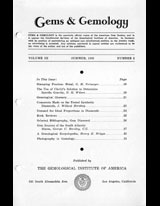 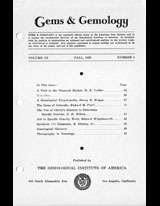 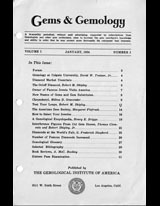 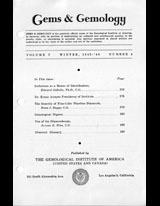 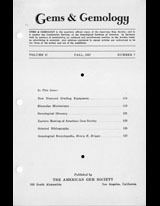 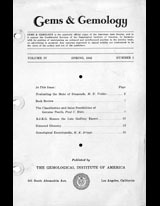 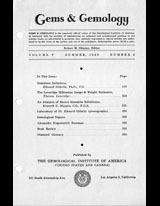 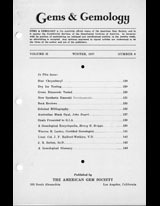 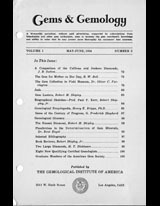 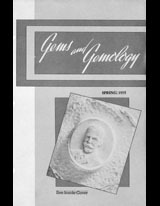 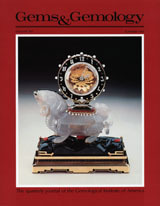 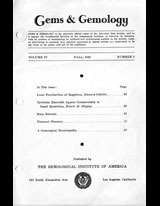 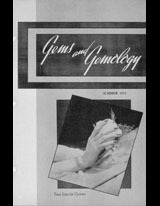 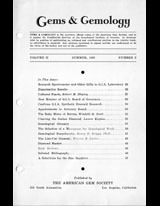 Ballots will be entered in a drawing for a one-year print subscription to G&G.